Here are the buildings currently proposed and in process to be permitted and built in the Greenwood area. Thanks to Seattle in Progress for source data. 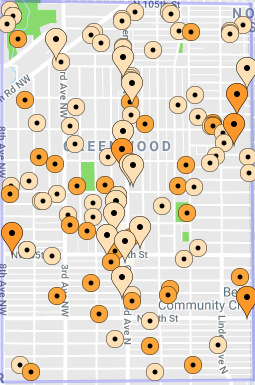 This list includes only those buildings that require either administrative or public design review, but you can see all buildings by clicking on the gear icon at the top right and selecting what you want to see displayed. 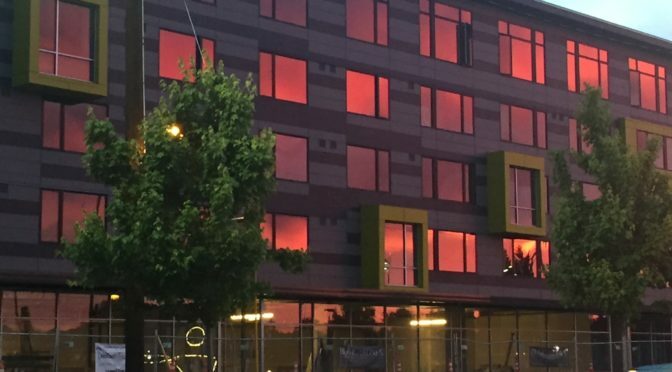 Where a building qualifies for administrative design review, no public meeting is required. You can comment on any project by sending an email to prc@seattle.gov. For a map of these projects, click here. No local design reviews are scheduled in the near future. 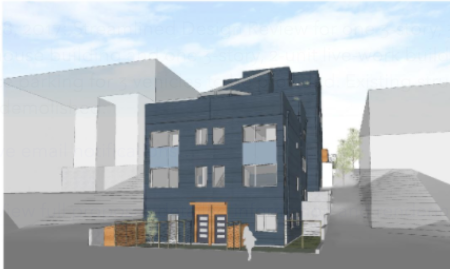 April 3, 2017: Land Use Application to allow a six-story, 72-unit apartment building with retail at street level. Parking for 38 vehicles will be located below grade. Existing buildings to be demolished, except the north building (Antika) is to remain. Dec. 15, 2016: Design Review Early Design Guidance for a 6-story, 220-unit apartment building with ground floor retail. Parking for 130 vehicles to be provided. Project requires a contract rezone from NC2-40 and NC2P-40 to NC2-65 and NC2P-65. Existing structure and parking lot to be demolished. Upcoming public meeting on Feb. 26, 2018, 8pm at the Ballard Community Center. Sept. 23, 2017: Administrative Design Review for a 4-story structure with 41 small efficiency dwelling units, 1 live-work unit, and ground level commercial. No parking is proposed. Existing structures to be demolished. Comment on project by emailing prc@seattle.gov. 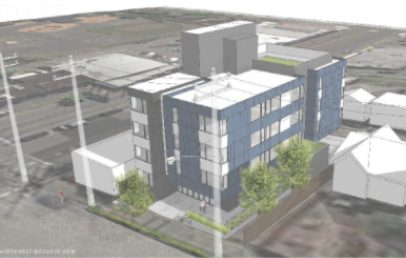 Dec. 11, 2017: Land Use Application to allow a 4-story apartment building containing 23 small efficiency dwelling units and one apartment above retail space. No parking proposed. Existing structure to be demolished. Aug. 30, 2017: Land Use Application to allow a 7-story apartment building containing 141 units above retail space. Parking for 91 vehicles to be provided. Upcoming public meeting on March 5, 2018, 6:30 pm at the Ballard Community Center. Comment on project by emailing prc@seattle.gov. Sept. 19, 2017: Land Use Application to allow a 6-story, 52-unit apartment building (48 apartments, 4 small efficiency dwelling units). Retail will be at street level. No parking proposed. Existing structures to be demolished. Upcoming public meeting on March 19, 2018, 6:30 pm at the Ballard Community Center. 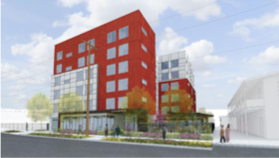 Comment on project by emailing prc@seattle.gov. 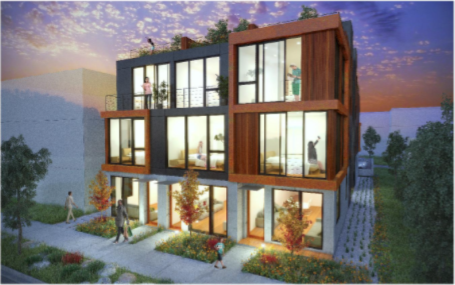 March 31, 2016: Land Use Application to allow a 4-story apartment building containing 37 small efficiency dwelling units. Parking for 8 vehicles to be provided at and below grade. Existing structure to be demolished. 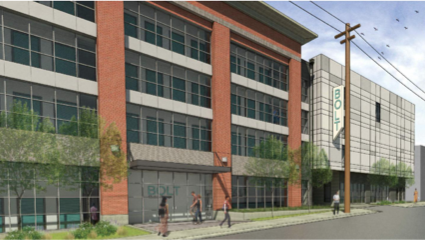 March 16, 2016: Land Use Application to allow a 4-story, apartment building containing 28 residential units. Parking for 10 vehicles to be provided below grade. Existing structure to be demolished. Aug. 9, 2016: Land Use Application to allow a 6-story structure containing 78 apartment units and 6 live-work units in an environmentally critical area. Parking for 44 vehicles to be provided. Existing structures to be demolished. May 12, 2017: Permits issued. Dec. 28, 2017: Streamlined Design Review for one 3-story, 3-unit townhouse building and one 3-story, 2-unit live-work building. Surface parking for 3 vehicles to be provided. Existing structures to be demolished. 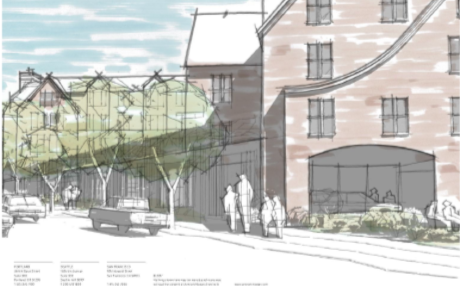 Design Review Early Design Application proposing a 7-story structure at the west half of site containing 14 residential dwelling units and 2 live-work units. Parking for 8 vehicles to be provided. Existing structure to remain. June 17, 2016: Design Review Early Design Guidance proposing a 4-story building containing 48 apartment units, 6 live-work units, and approximately 1,500-square feet of retail space. Parking for 42 vehicles to be provided below grade. Existing structure to be demolished. 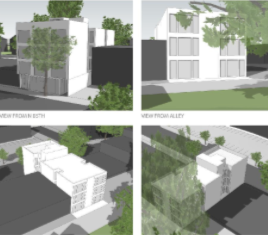 June 30, 2017: Streamlined Design Review application proposing two, three-story, three-unit townhouse buildings (six units total). Existing structures to be demolished. 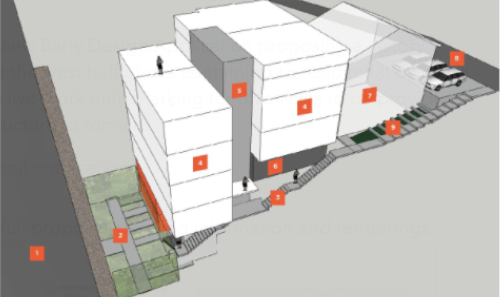 Six surface parking spaces to be provided on the site. 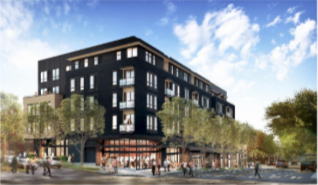 Feb. 9, 2018: Land Use Application to allow a 6-story structure containing 96 assisted living units with retail space at street level. Parking for 46 vehicles to be provided. Existing structures to be demolished. Nov. 19, 2016: Land Use Application to allow a 4-story apartment building containing 24 small efficiency dwelling units. Parking for 6 vehicles to be provided at grade. Aug. 31, 2015: Land Use Application to allow a four-story self-storage mini-warehouse structure (Green Lake Self Storage). Surface parking for 16 vehicles to be provided. Existing structures to be demolished. Aug. 23, 2016: Permits issued. 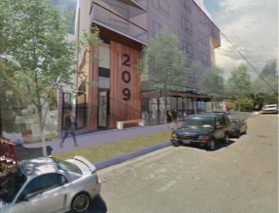 Feb. 22, 2017: Land Use Application to allow a six-story apartment building containing 100 units. Parking for three vehicles to be provided. Existing structures to be demolished. Sept. 29, 2017: Permits issued. July 22, 2016: Land Use Application to allow a six-story, 220,000 sq. ft. storage facility (mini-warehouse, self-storage) with accessory office and a caretaker unit. Review includes demolition of existing building and parking lot. Parking for 15 vehicles to be provided within the structure. The map below to the left shows all projects requiring design review and listed above. The map to the right shows all projects, including single family and other projects that don’t require review. Clearly there is a lot of development underway! 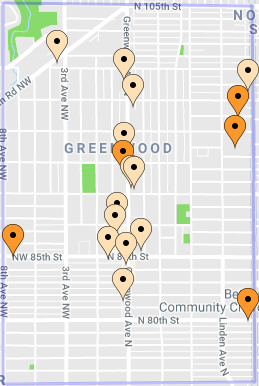 For a clickable view of these maps, click here . Click on the gear icon at the top right to select what you want to see displayed. Projects requiring design review. Lighter dots have applied, darker dots are approved. All projects, including single family and other projects that don’t require review. Lighter dots have applied, darker dots are approved.